November 19, 2018 – Edith wants to be known for empowering younger generations and being a lady of substance! This semester she is excited to work hard in her final year of university! July 7, 2018 – The most challenging thing Edith had to overcome this last year was a tough assignment on quantitative methods, she was able to overcome it through discussion and study groups with friends! She is taking classes this summer, and is looking forward to working hard and preparing for her last year of university! May 12, 2018 – When asked what the three things Edith values most are, she answered with her education, family and her friends! March 25, 2018 – When Edith was younger, she wanted to be a financial manager because she liked bankers and loved saving for the future! In five years, she sees herself as a self-motivated woman who has her university degree, is serving her community and supporting those in need! Feb 27, 2018 – Edith’s nickname was Kaka because that was her grandmother’s name and she was her grandmother’s favorite! The person who inspires Edith the most is her mother, because he always encourages her to work hard and never give up! Jan 25, 2018 – One of Edith’s favorite books that she just couldn’t put down when she was reading, is Think Big by Ben Carson. Dec 18, 2017 – Edith says that Christmas in Rwanda for her is when friends and family gather together, and share local foods such as cassava leaves! She says that Christmas brings people together and reminds them to refocus on Jesus. Edith thinks that the word her friends would describe her as is “loving” because she loves people, and also prays for them! Nov 11, 2017 – Edith thanks God for the gift of her education! She is looking forward to the Christmas holiday because she gets to see her parents, who have been staying in Uganda. Oct 8, 2017 – Edith’s goal for the summer was to read as many leadership books as she could! She is excited to meet her classmates and colleagues this year and is looking forward to working hard and concentrating on her studies in hopes of a better future. Edith is from a village in Uganda where education was nearly impossible to obtain. It simply wasn’t valued by any of the people in the community. In fact, no one in her family of eleven has finished high school. Edith, however, has gone against this pattern in her village and is pursuing a degree in Finance at the University of Kigali. 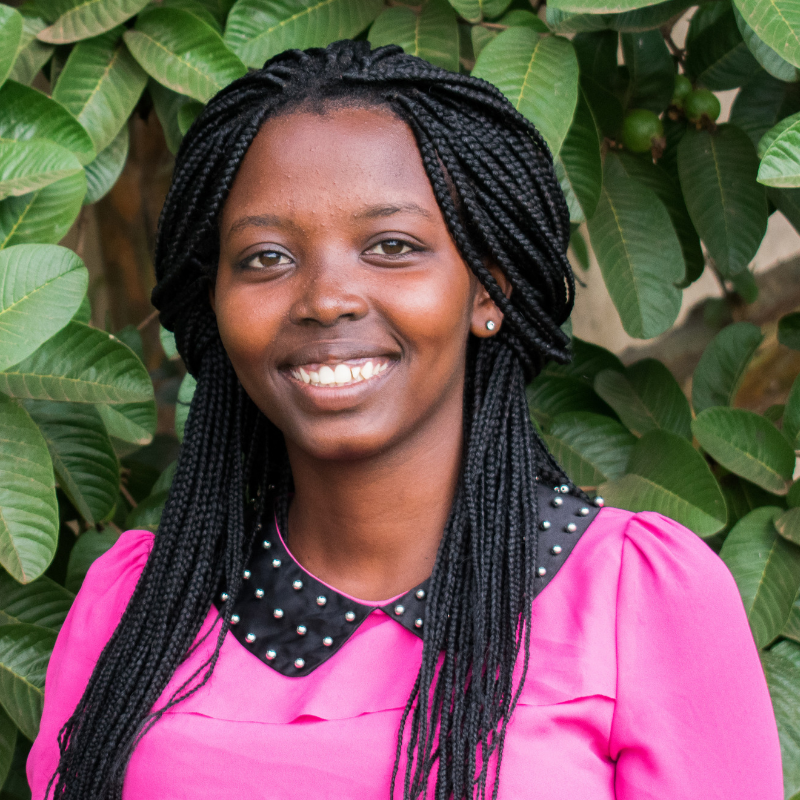 She is paving the way to make a better future for herself, and developing the tools to contribute wisdom, leadership and employment to her new community in Rwanda.